AVONDALE, La. 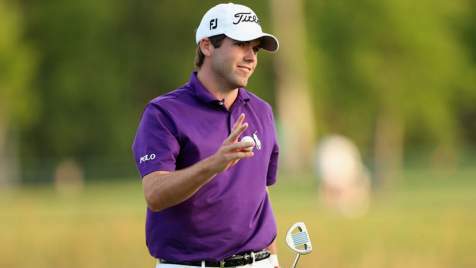 – Ben Martin treated a tiny gallery to a course-record round, shooting a 10-under 62 on Thursday in the first round of the Zurich Classic. Martin’s 10th birdie was his most spectacular shot in a round full of them as he chipped in from 55 feet on the par-3 17th hole. That came a hole after the 26-year-old former Clemson player he hit the flag on a chip from behind the green, setting up a tap-in par. The previous record at TPC Louisiana was a 64, accomplished many times, including once earlier Thursday, when Andrew Svoboda did it to take a lead that held up until Martin surged past late in the day. Peter Hanson and Sueng-Yul Noh were tied for third at 65. Martin matched his career best Sunday with a third-place tie in the RBC Heritage at Hilton Head, S.C. He also finished third last month in the Puerto Rico Open. Martin opened with a 10-foot birdie putt, the first of six birdies on the front nine, most set up by approach shots within 10 feet. One exception was his 26-foot birdie putt on No. 5. He opened the back nine with a 14-foot birdie putt, made a 10-footer on 11 and a 20-footer on 13. Svoboda birdied six of his last nine holes. Like Martin, the 34-year-old Svoboda has never won on the PGA Tour and appreciates how much can change in the next three rounds. At the same time, New Orleans has seen its share of maiden tour triumphs. It has happened in six of the past nine years, and 10 of the past 16. “I’ll take that stat,” Svoboda said. Svoboda’s best career finish on the PGA Tour is a tie for 15th at the Shriners Hospitals for Children Open in Las Vegas last October. Hanson’s round was highlighted by an eagle on the par 4 sixth hole. After a 277-yard drive to the middle of the fairway, Hanson knocked in his second shot with a 6-iron from 183 yards. Hanson noted that he used the same club for a hole-in-one during a practice round at Lake Nona in Orlando, Fla., last weekend. “So it’s holed out twice in the last five days,” Hanson said. Hanson, who missed the cut at the Masters, said the key to his strong start in New Orleans was probably putting away his clubs for four days after returning from Augusta and trying to relax more. Erik Compton, Chad Collins and Michael Thompson were tied for fifth at 66, and Jeff Overton, Stuart Appleby and Robert Streb followed at 67. Compton, a two-time heart transplant recipient, spent the early part of the week talking to children with heart conditions at a New Orleans-area hospital and also participated in a junior golf clinic. Although that limited his practice time, he thought it put him in a good frame of mind. On the par-5 seventh, his 297-yard drive sailed right of the fairway, crossing a cart path. 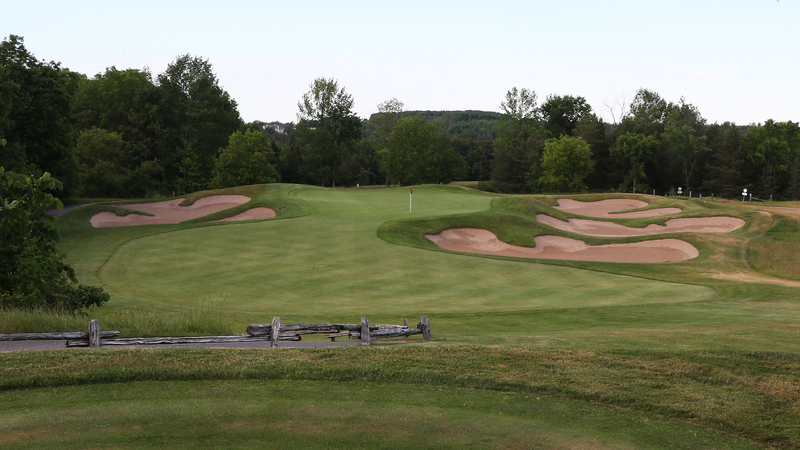 He then belted a 227-yard shot out of the rough to the foot of the green and two-putted for birdie. 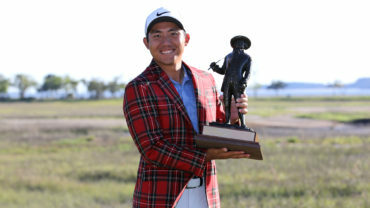 On eight, he cringed disgustedly as he left a 1-foot birdie putt on the lip of the hole, but responded by closing his round with a 22-foot birdie putt on nine to briefly put him atop the leaderboard. Graham DeLaet is leading the Canadian charge. The Weyburn, Sask. native is tied for 20th at 3-under par. David Hearn opened with a 1-under 71 and sits tied for 54th. Mike Weir, Stephen Ames and Brad Fritsch were 2-over on the day after all firing 74s to sit among a group tied for 114th.